Bespoke bathrooms and hand crafted fitted furniture to last a lifetime. We have been designing and installing the highest quality bathrooms and manufacturing quality fitted furniture for over 45 years. We offer a personal installation service for the home, treating all our clients and their needs individually. Senior designer Peter Langley has been designing and installing bespoke bathrooms and fitted furniture for over 30 years. He designs and project manages the full job for each client, as well as overseeing the build process in our Bolton workshop to ensure the highest quality. We design, supply and install luxury bathrooms throughout Cheshire. Our goal is to create amazing spaces that are both functional and beautiful. Get in touch now for a free quote or visit our website for more information. Originally a small family manufacturing unit in the Rhone Valley in France, who gradually exploited its success to progress and grow, while at the same time developing its skills and technology. The business now relies on the third generation of the family and it’s enthusiastic teams using cutting-edge machinery and pratices. The brand is now popular in many countries. Ambiance Bain products are designed to integrate with the flow of modern times, focusing on design, ergonomics with a touch of fantasy, signature of the brand and its skill and expertise. Versital Luxury Bathroom Surfaces We supply manufactured to order solid surfaces for bathrooms, washrooms and commercial installations. Luxurious true to life granite, marble and high gloss sparkle, luxury bathroom surfaces for a professionally finished bathroom. Over 90 different colours and finishes. Products include our very popular bespoke shower trays available with complementing Vanity tops and Bathroom Shower Panels High quality hand made bathroom products to create beautiful designer bathrooms. A Versital bespoke shower tray is fully bespoke in every area - including waste position, shape, size and colour. All Versital bathroom surfaces are manufactured in the UK by skilled craftsmen. Dave Watson Plumbing & Tiling has been providing high-quality plumbing and tiling services across Warrington for 10 years. Whether you own a commercial or domestic property, you can rely on our experienced team to provide effective solutions at affordable prices. From maintaining a central heating system and plumbing to providing bespoke bathroom renovations and tiling solutions, we have it all covered. For more information, contact Dave Watson Plumbing & Tiling today. aqua: are specialists in the design, supply and installation of bespoke bathrooms. Established in 2006 aqua: has always offered products from many of the UK's and Europe's best manufacturers, we constantly search for the latest designs and technologies to keep our clients at the cutting edge of style, performance and water saving. aqua: offers a bespoke furniture service allowing our clients total flexibility when it comes to storage and style, from ultra modern high gloss to traditional solid and painted woods. aqua: specialise in wet-room installations, aqua: will never tell you you cannot have a wet-room. aqua: employ our own installation teams, which means you have a single point of contact so you do not have the headache of getting all the trades required to install your bathroom and then trying to get them to work together. aqua: has built its reputation on creating beautiful, high quality bespoke bathrooms that will last for many years to come. Here at Bluu Water our philosophy is; ‘everything’ is possible. We work with you to ensure every single element of your wetroom or bathroom is just right, from the tiles to the lighting, the fixtures to the colour palette, you can be sure that every detail is taken care of coupled with our strong commitment to quality, reliability and total customer satisfaction. We pride ourselves in delivering bespoke bathing solutions and recognise that we all have different styles and tastes, bespoke options include integrated seating, latest technology lighting, integrated speaker systems, Plasma screen installation, eco showering solutions and much more. Contact us for a no obligation discussion about your requirements. VictorianPlumbing.co.uk is a leading online bathroom retailer. Passionate about both traditional and the contemporary; we love talking to customers about how they can turn their bathroom ideas into reality. Are you designing your new bathroom, looking for inspiration or searching for product ideas? Take a look at our current projects and get in touch with any questions what so ever. We can't wait to hear from you. Crosby Property Maintenance has a proven track record of innovative designs, effective problem solving and attention to detail and our goal is to meet and exceed the expectations of every customer. We take on all types of jobs from small domestic work to larger commercial projects, all carried out to the highest standards, and at very competitive prices. We pride ourselves on our commitment to provide a professional and speedy service at all times, whilst maintaining the highest quality of work. We sell luxury bathrooms at affordable prices to the public & trade. 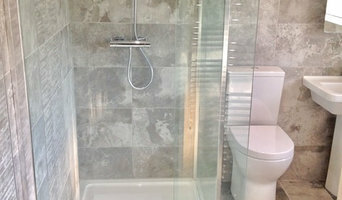 We have bathrooms to suit all budgets and can help source a fitter. Fitted and Freestanding Kitchens, Bathrooms, Tiles and Paint. 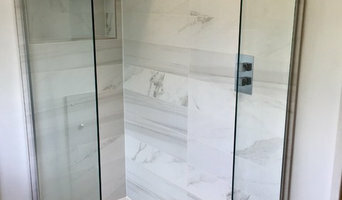 We are a Tile, bathroom supply and installation company with over 25 years experience, with peace of mind guaranteed with every installation carried out. The Bath-Out Company is part of Contour Showers, a leading UK manufacturer of easy access, walk in shower solutions specifically designed to help the elderly and less able maintain an independent lifestyle. We have been providing showering solutions for our customers for over 50 years, recognising their specific needs and tailoring the answer to their individual requirements. As a longstanding UK manufacturer our reputation for quality, reliability and service is second to none. Our mission is to deliver total customer satisfaction, by providing innovative quality products backed up by exceptional customer service. We undertake this with pride, integrity and a genuine desire to please our customers. We understand the hidden challenges that can evolve with bathing, and we are expert at using our knowledge and experience to help you overcome them. We pride ourselves on developing and delivering stylish and attractive products that offer answers to the challenges of bathing, all backed up by comprehensive, no nonsense guarantees. A quality Liverpool, Merseyside bathroom designer will start by getting to know you, your family and your home, to understand how to create a bathroom perfectly tailored to how you live. Bathroom designs can vary hugely in spec depending on the size of the space and a good bathroom designer will be able to offer creative solutions that will still allow you to achieve the style you want in the space you have. From wet rooms to cloakrooms to luxury ensuite bathrooms, bathroom design can be particularly tricky because of all the plumbing and infrastructure involved, so it’s handy to have bathroom fitters in Liverpool, Merseyside on call who can handle any plumbing, wiring or structural questions that may arise. Many bathroom designers will also offer a full bathroom fitting service, using their network of Liverpool, Merseyside bathroom fitters to ensure you get a perfect finish. The benefits of employing professional bathroom designers and bathroom fitters in Liverpool, Merseyside include guidance and advice on how to make the best of a small bathroom space or how to create a truly luxury bathroom if you have room to spare. From clever bathroom layouts to the best bathroom furniture your designer can help you make the best decisions and offer ideas for how to create the bathroom of your dreams. It’s essential for your Liverpool, Merseyside bathroom designer to understand your needs precisely in order to design and fit the bathroom that you want. Being upfront with your bathroom budget will allow your designer to advise on tailoring your design to your specifications as realistically as possible. 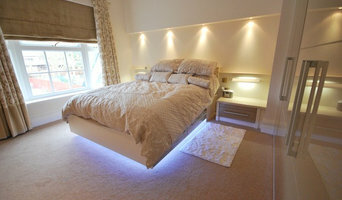 You can use Houzz to assist your design process by creating ideabooks that reflect your dream bathroom ideas and style, finding inspiration for colour palettes and materials for bathroom furniture, tiles, cabinets and bathroom suites all of which will be hugely helpful in guiding the process of your Liverpool, Merseyside bathroom designer and bathroom fitters. Understanding your vision and any limitations will allow your designer to come up with creative ideas and solutions. A new bathroom won’t normally need planning permission unless it is part of a house extension or you are modifying a listed building, but it is always advisable to check with your local Planning Authority before giving the go-ahead to your bathroom fitters in Liverpool, Merseyside. Building Regulations apply to the building of a brand-new bathroom, where there wasn’t one before. Floor structures may have to be evaluated to ensure that they can support the weight of a new bathroom and a full bath in use and in some cases work may be required to strengthen timber joists and boards. Your bathroom designer will be able to advise on bringing in a structural engineer or surveyor to assess the floor and, if necessary, produce the paperwork required by Building Control in order to commence the bathroom fitting or installation. How long have you been bathroom designers and/or fitters in Liverpool, Merseyside? Find a bathroom designer on Houzz. Narrow your search in the Professionals section of the website to Liverpool, Merseyside bathroom designers and bathroom fitters in Liverpool, Merseyside. You can also look through Liverpool, Merseyside photos to find a bathroom, wet room or cloakroom you like, then contact the professional who designed it and fitted it.